Tucked away in the Ouachita Mountains of central Arkansas lies a town with a history of healing waters, spas, and speakeasies. This fascinating past is only part of the town’s tale. Today’s visitors are attracted by the natural beauty and the national park. They come seeking relaxation and rejuvenation in Spa City, just as others have done for centuries. 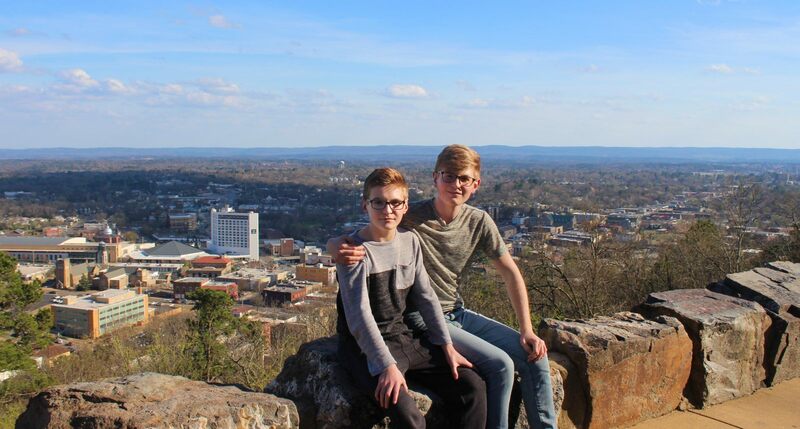 Our family spent a few days in Hot Springs during our spring break. My husband and I had honeymooned here over 20 years ago and had visited many times over the years, but we had not brought our boys since they were old enough to remember. It was time to introduce them to one of our favorite local cities. From the days of the region’s earliest inhabitants, there was something remarkable about this hillside in the woodlands. The Native Americans were known to call this area the “Valley of Vapors” due to the mist rising out of the hot thermal springs. Over the centuries, a number of explorers (including Hernando de Soto) visited these renowned springs, and a number of nations claimed the land as their own until the Louisiana Purchase made it officially part of the United States. 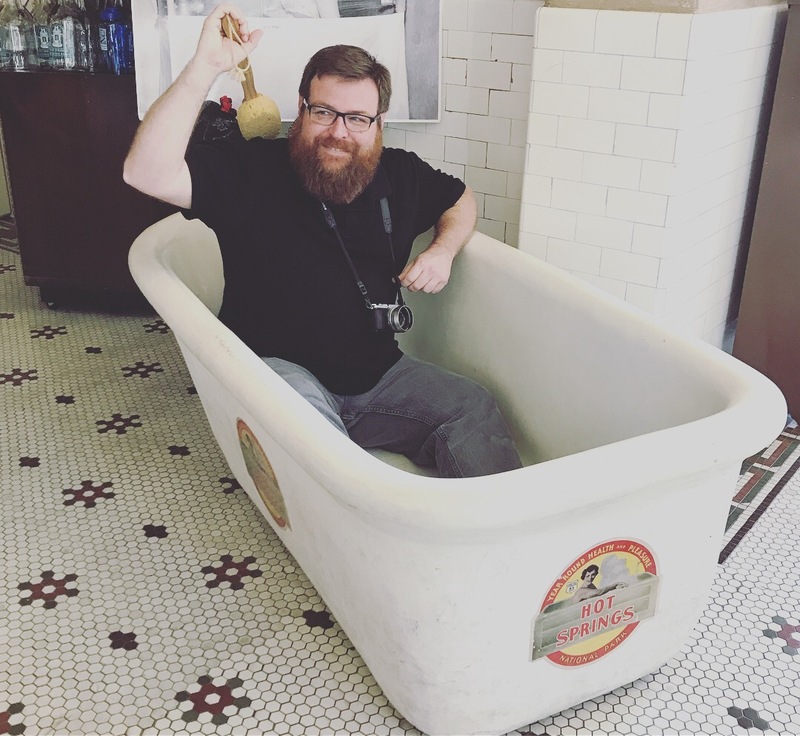 By the 1800s, settlers were taking note of the hot springs, building simple shelters over them, and word spread of the healing properties of these miraculous mineral waters. Visitors were promised they could heal all forms of ailments, and businesses sprang up providing a variety of services from water to drink, vapors to breath, and tubs of hot water to bathe in. Soon, the national government took note, and in 1832, a strip of land along the springs was preserved as a federal reservation, later named Hot Springs Reservation (interestingly, this took place before Arkansas became a state). In 1880, it became a public park. Over the next few decades, grand structures were built along the springs as places to provide formal services using the thermal waters. This area came to be known as Bathhouse Row. 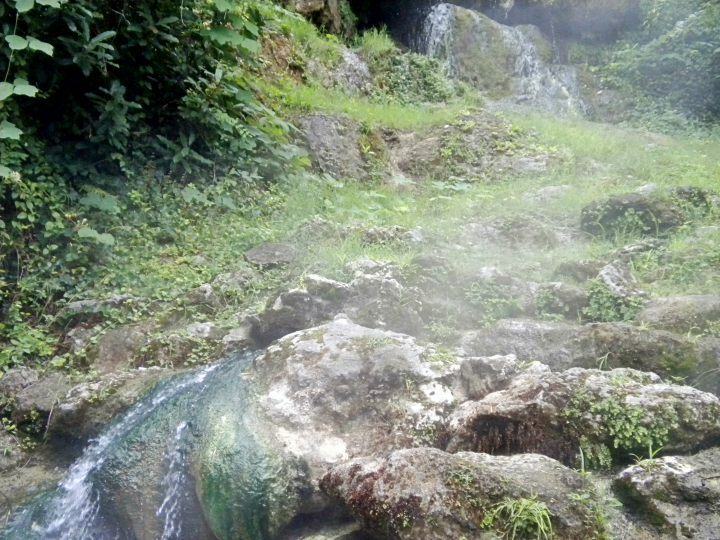 Like the visitors over the centuries, today’s visitors are drawn to the springs. 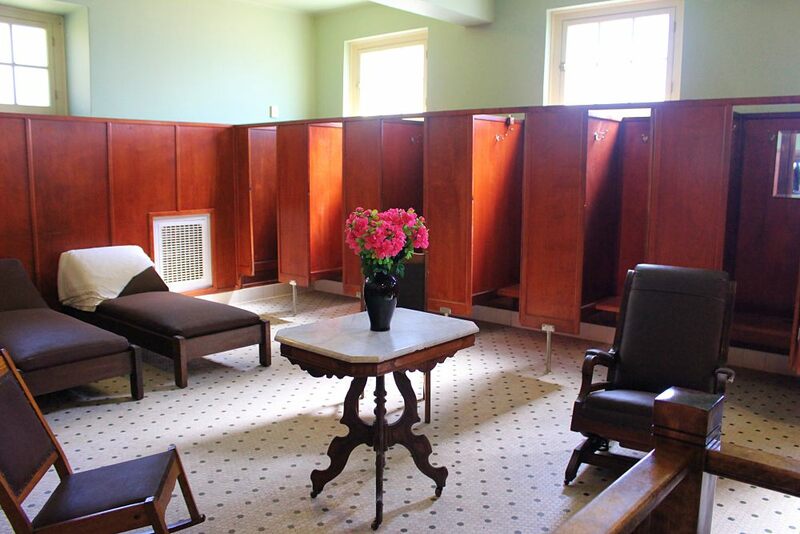 While most springs have been capped, keeping them inaccessible to the public, visitors can find one natural spring at the end of Bathhouse Row, providing a perfect spot to start your tour. Here, you can dip your hands in the thermal waters, but that’s about all you’ll be able to do. In its natural state, the water is too hot to tolerate. 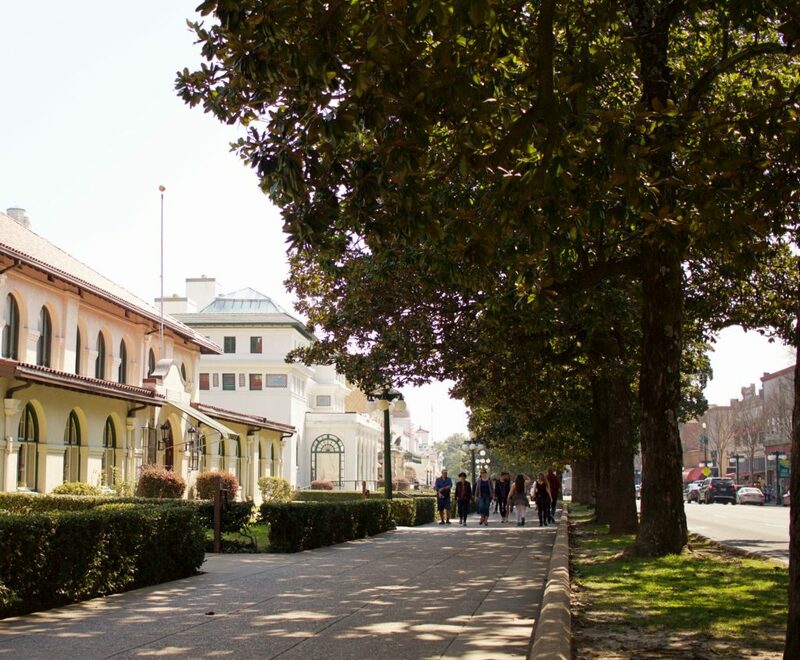 Continuing on, you will find the string of grand structures that are part of Bathhouse Row. Built around the 1890s-1920s, these are architectural wonders, each exhibiting a different personality. 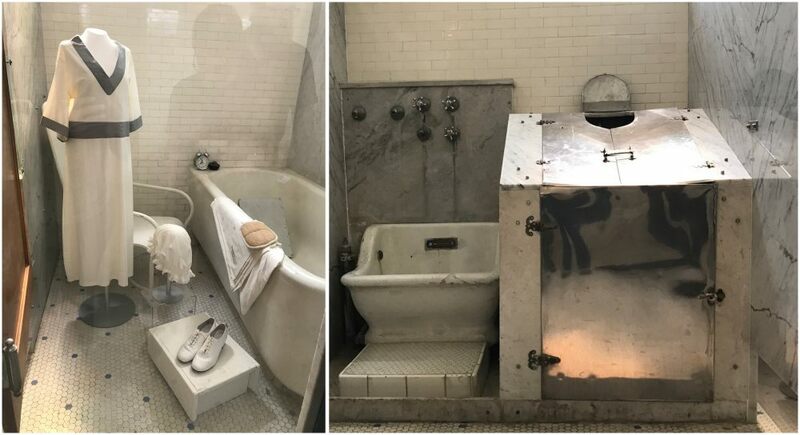 After their heyday around mid-century, the bathhouses primarily fell into disrepair; however, their historic value was eventually recognized, and the structures were renovated. 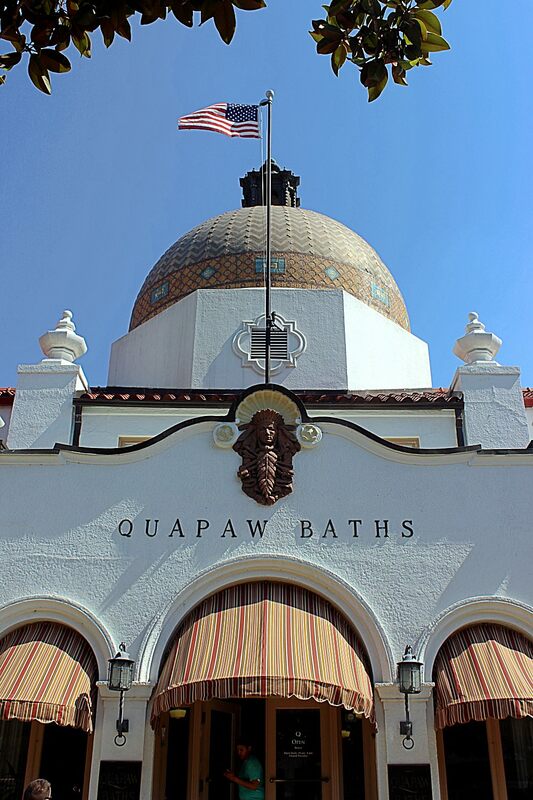 To truly get a sense of the history of Hot Springs, enjoy a visit to one of the bathhouses offering spa services . You can bath in a warm pool, take a mineral soak, get a massage, or take advantage of myriad services. 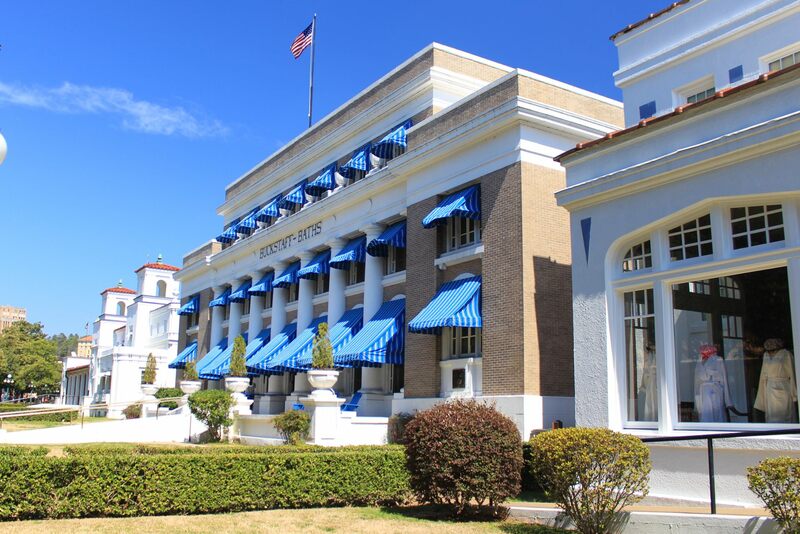 Spend some time walking around the Fordyce Bathhouse and touring the exhibits. Inside, it looks as though the doors were locked in the early 1900s and everything was left as is. 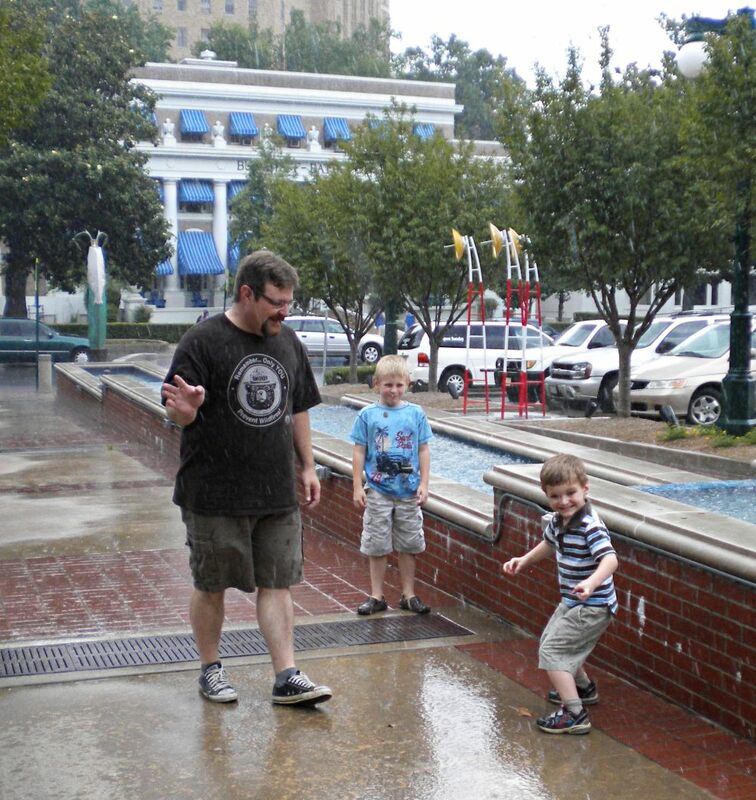 Our family enjoyed checking out the unusual equipment that once provided electrical shocks, steam baths, and more. It’s easy to imagine the wealthy visitors changing into luxurious robes to ready themselves for their treatments or relaxing in the lounge, chatting at the end of a stay. Another interesting stop is Superior Bathhouse, which now operates as a microbrewery (the only one in an NPS site). Even more remarkably, local spring water is used in the beer production. We enjoyed a flight and a delicious meal here on our visit. My mouth still waters thinking about the savory mushroom panini and crisp potato salad I had. It proved to be a great spot to converse with our new friend @Ponytail.Express (a fellow fan of the RV Family Travel Atlas podcast) and her family. 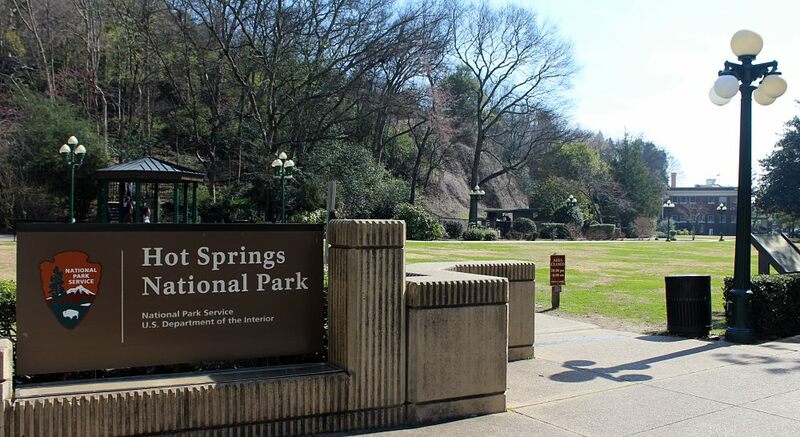 After its initial designation as a reservation and then a public park, Hot Springs National Park officially came into existence in 1920. Because of its early history, it was holds the distinction of being the oldest managed lands in the NPS. 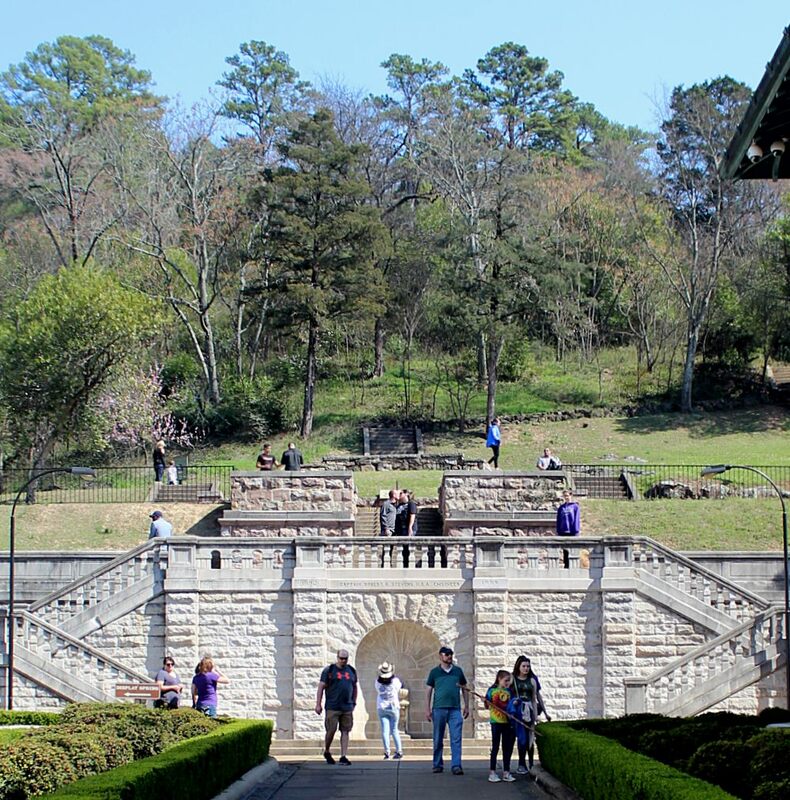 In addition to exploring Bathhouse Row, Hot Springs National Park offers recreational opportunities in this beautiful setting, including 26 miles of hiking trails. Despite our many visits to the park, we haven’t hit many of the trails, other than the Grand Promenade. Behind Bathhouse Row–and technically above it–on the mountain, you’ll find the easiest trail, the Grand Promenade. This pathway runs through a lush landscape and offers views of Bathhouse Row below. I like to imagine Victorian ladies all done up in their finest dresses and brimmed hats strolling along this manicured path. Two spectacular scenic drives offer views of the town below: Hot Springs Mountain Scenic Drive and West Mountain Drive. We always enjoy feeling like we are on top of the world as we stop for photos with this amazing backdrop. For a minimal cost, you can take an elevator to the top of the 216-foot tall Mountain Tower to check out 360-degree panoramas. We didn’t get to it on this trip, but we’ve previously enjoyed it. 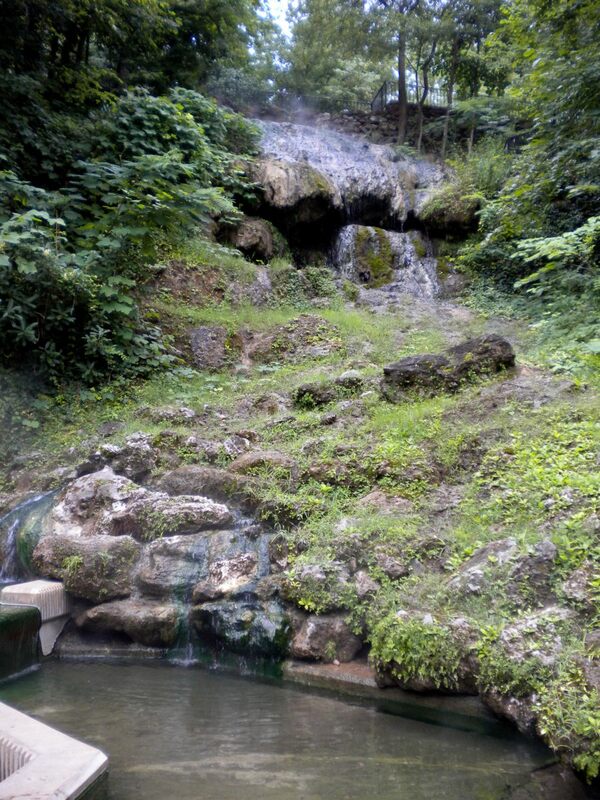 Hot Springs became notorious for something other than its waters in the early to mid-1900s. Gangsters like Al Capone and Lucky Luciano sought refuge in this small town. Illegal gambling and bootlegging grew and grew. Eventually, the feds cracked down, and Hot Springs began to clean up. 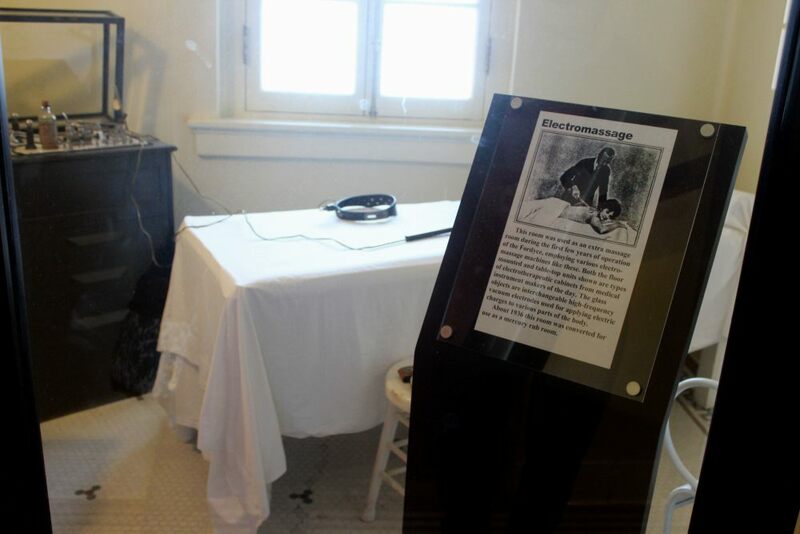 Today, this history can be explored at the the Gangster Museum of America. Or, hang out at the Arlington Hotel, one of Capone’s favorites. The grand ballroom really transports you back to a more glamorous time. Around the time the mob moved out, a future president moved in to Hot Springs. President Bill Clinton attended school here from elementary to high school. The Clinton Presidential Library and Museum is located just over an hour away from Hot Springs in Arkansas’s capital city, Little Rock. Hot Springs is truly a delightful getaway. There’s so much to explore, thanks to the town’s unique history and natural treasures. 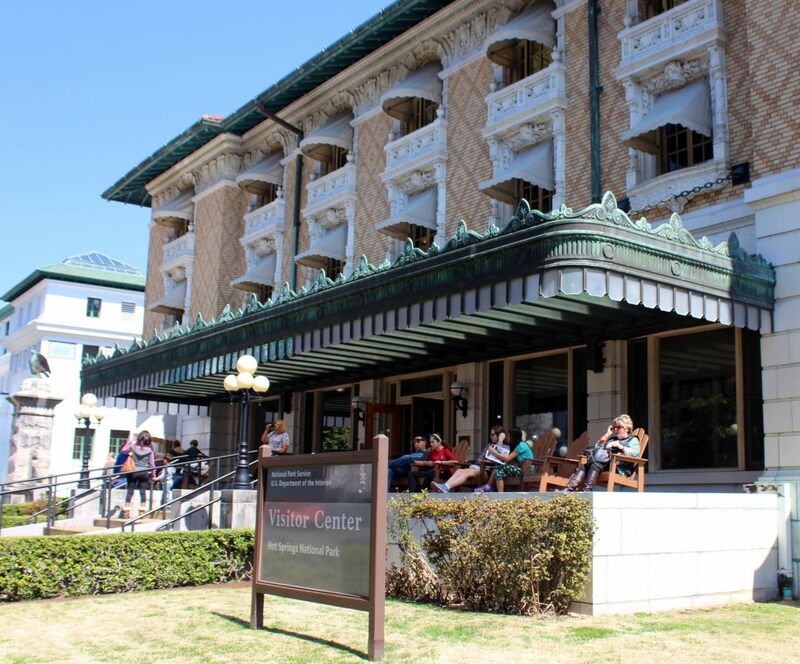 From hiking trails through the verdant hills of the Ouachita Mountains to the grand architecture on Bathhouse Row, Hot Springs offers stunning spaces for relaxation and recreation. Step back in time with a visit to Spa City. Up next, I’ll share some of our local favorites and tell you all about the fabulous campground where we stayed, Lake Ouachita State Park. Posted in: Places We've Explored. Tags: Arkansas, National parks. Thanks for sharing the awesome pics and post. We are going cross country and have a chance to go through Hot Springs. Planned on stopping but now I am super excited to see it! Awesome! Thanks for reading! I hope you have/had a great trip (this comment slipped by me!). Hot Springs is a unique little town.